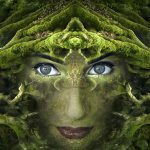 What’s All This Talk About Alternative Spirituality Anyway? 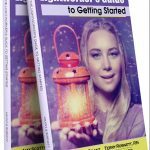 LOS ANGELES, CA, May 10, 2018 – Local Registered Nurse and Reiki Master Terry Robnett is releasing a new book entitled “The Lightworker’s Guide to Getting Started.” This is the fourth Spirituality based book published by Robnett under the Liberto Press imprint in Castle Rock Colorado. The book is co-authored by Terry Robnett and Amy Scott Grant, and will initially be available exclusively on Amazon. 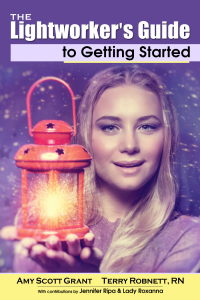 “The Lightworker’s Guide to Getting Started” is currently in pre-launch and will be available on Amazon in print format by May 15, 2018. Robnett and Grant expect the Kindle version to follow within a few months. 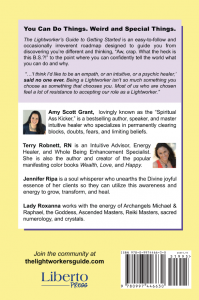 Terry Robnett is a dynamic, powerful Lightworker, Reiki Master, and Registered Nurse. Terry’s unique blend of compassion and intuitive connection makes her a dynamo Consultant and Life Coach. Terry stands strong in her commitment to transformation, and her passion for health and well being is evident as she leads her clients toward a richer, more fulfilling life. Terry is the owner of http://lovehealingbalance.com/ and https://innovativebalance.com/, both revolutionary companies created to help people take control of their health and wellbeing.